Rooftop Clan (formerly Rooftop MCs) previously released the first single from their Kings and Priests album. That song was not released as a free download, but this second one is. 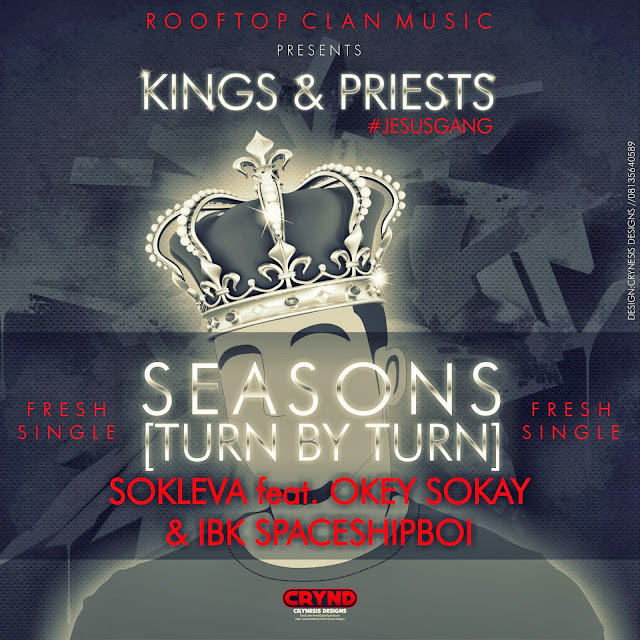 It is called Seasons, and the clan gets help from IBK Spaceship boi and Okey Sokay. Seasons is the second Single from the Album Kings and Priests by Rooftop Clan, the album is billed for release in 2014. On this song Sokleva spits three solid verses and is ably assisted by the rich vocals of Singer/Producer Okey Sokay and the melodious harmonies of IBK SpaceshipBoi. Produced by the official Producer for the Clan, Okey Sokay, the theme of Seasons is simply, you were born for such a time as this, it's your turn and it's your season.